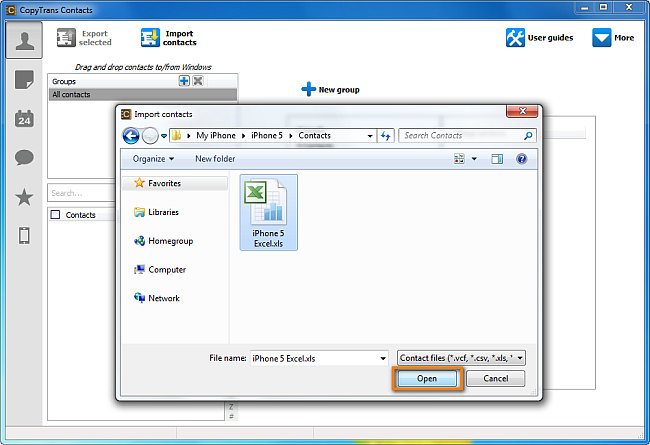 How to edit iPhone contacts in Excel? 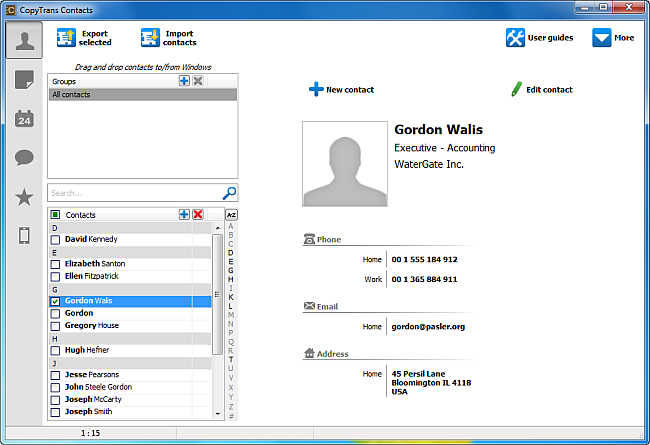 Home » How to edit iPhone contacts in Excel? 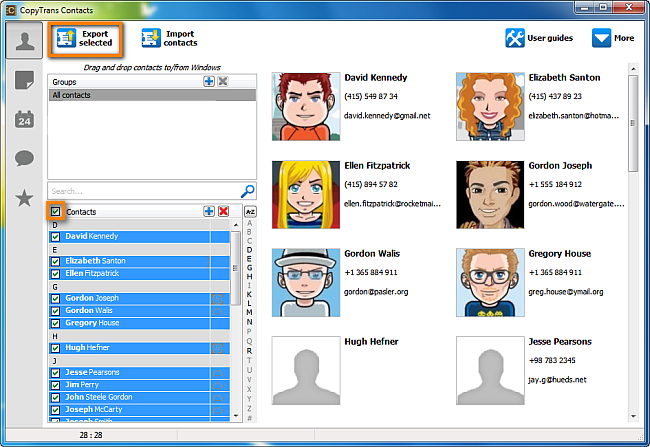 CopyTrans contacts is compatible with all iOS devices such as your iPhone, iPad, or iPod Touch. 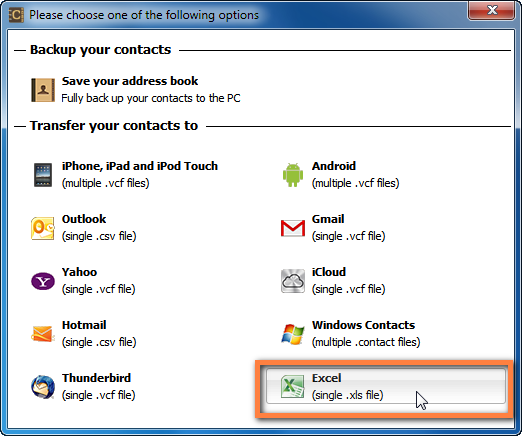 As a result, you can edit your iPhone, iPad, or iPod Touch contacts in Excel easily. 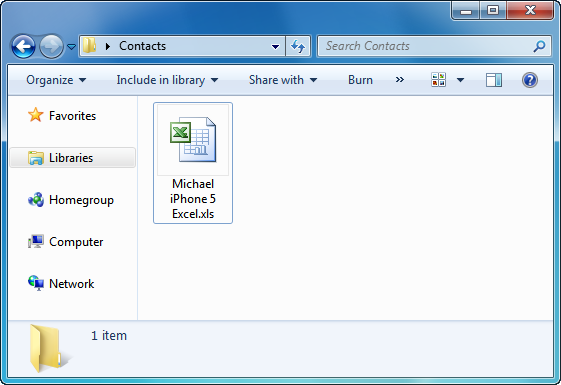 Your iPhone contacts will be saved to your PC in the form of a single Excel file in the location of your choice. You can now open the Excel file and begin editing your iPhone contact list directly via Excel. Once you have your Excel file listing your iPhone contacts, open the document and start adding/editing your iPhone contact details via Excel. 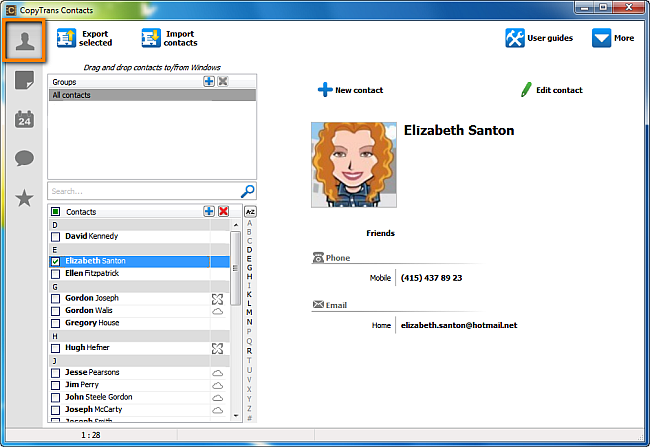 Excel limitations: Excel does not support pictures and therefore your Excel contact list will not contain your iPhone contact photos. It is recommended that you back up your iPhone contacts to your computer in advance in vCard format in order to save your contact photos. To back up your iPhone contacts in vCard format, please refer to this article. Suffix – for example: Mr.
Company – for example: WaterGate Inc. This is how to easily edit iPhone contacts in Excel.